A Year of Being Here: Dana Gioia: "Entrance"
"Entrance" by Dana Gioia, from Interrogations at Noon: Poems. © Graywolf Press, 2001. 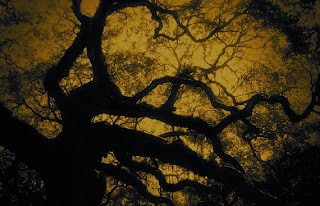 Photography credit: Detail from "Angel Oak Tree," by Amy Tyler Photography (originally black and white).